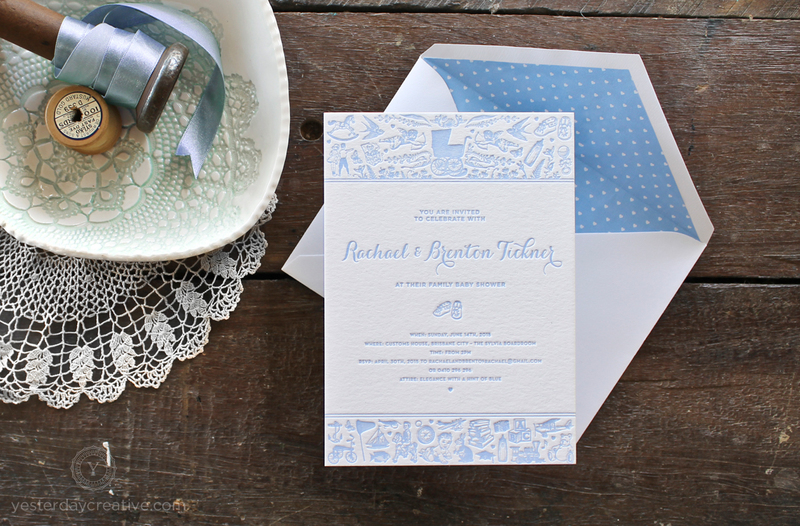 Letterpressed gender reveal & 30th birthday invitation for the parents-to-be. 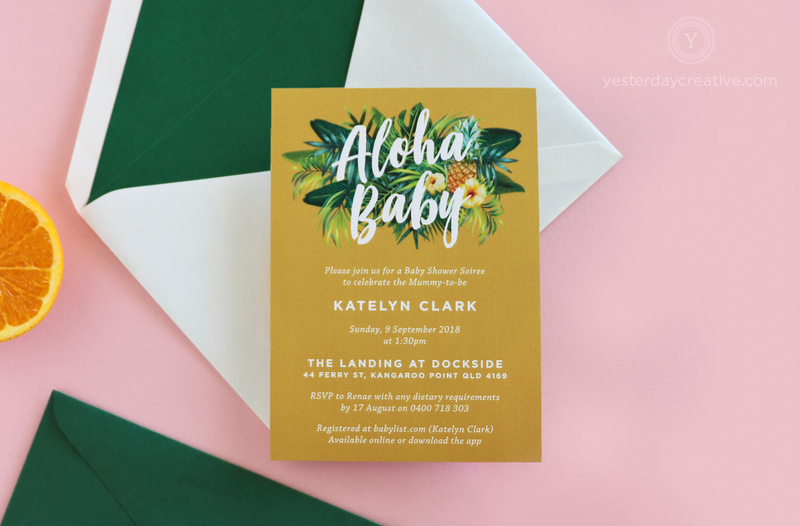 Vibrant tropical themed baby shower invitations. 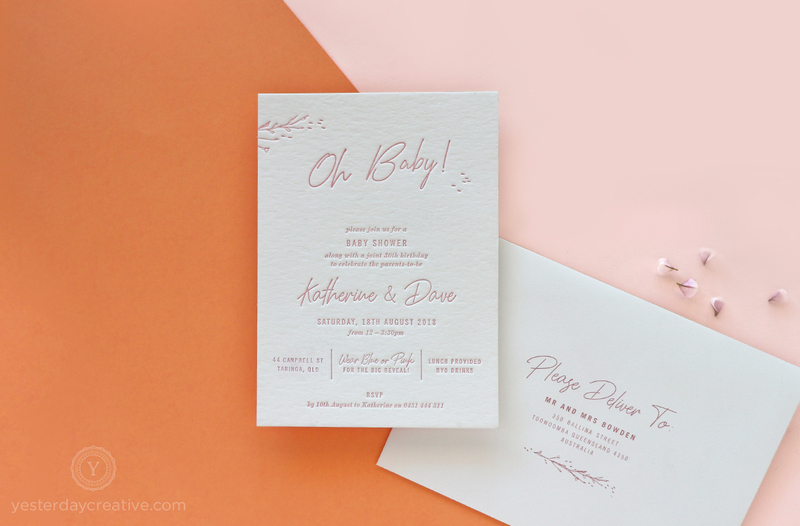 Vintage Toy Letterpressed Baby Shower Invitation.